Guided by the principles of quality, respect, excellence, ethics and integrity, we care for our community through uncompromised commitment to compassionate PeopleCare. In one word, we are committed to Excellence. In all that we do. For our patients, our community & our employees. We commit to never losing sight of the fact that we were founded in the belief that we can make life better for the people whose lives we touch, whether they are our patients, their families, or our employees. Community came first when our doors first opened, and Community will remain first as we grow. 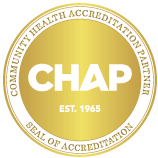 To be recognized as the leading provider of community-based home health services in the Hudson Valley, with a reputation for quality, trustworthiness, and compassion. We own our choices and actions, including the impact of our choices and actions on others. We learn from our mistakes and allow our lessons learned to lead us to new successes. We tolerate no excuses, no blame–games, no finger-pointing. We demonstrate strong positive regard and kindness toward one another and those under our care. We seek to uncover a deep awareness of the needs of others and to use this awareness to drive us toward better service. We believe that the ability to consistently meet and exceed our customers’ needs is the key to our success. As we strive to meet the needs of our patients/members, their families/caregivers, the community, and each other in a personalized way, we will focus on relationship building, communication, excellence, and service recovery. We do not tolerate the status quo or mediocrity. We are committed to achieving the highest standards in all that we do. We take pride in our work and do every task as though it would bear our personal signature. We give freely without the expectation of return or reward. We graciously give our time, our talents, and our personal commitment. We display a benevolent spirit, nurturing hope and positivity in others. We work together with support and commitment. We extend effort beyond the confines of our individual departments and disciplines. We bring out the best in one another.